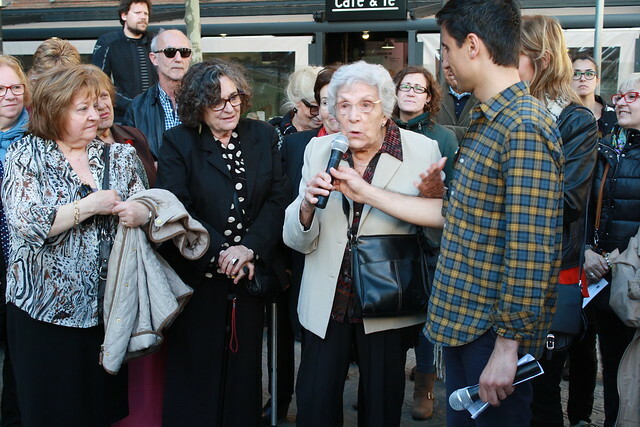 The promoting group of the future monument of the former women’s prison of Les Corts (Barcelona) pays homage to ex-prisoner Maria Salvo Iborra during the commemoration of the 85th anniversary of the proclamation of the Second Spanish Republic. The activity will consist of a short walk through the different memorial signs located around the former prison limits. At each point, we will explain how several civil society representatives are linked to the activist group, followed by a brief explanation on the history of the prison. 19h – Departure to Plaça Sant Jaume to attend the commemoration of the Second Republic Proclamation Day organized by Barcelona City Council. A free (and limited) bus service will transport guests from Rambla Prim and Plaça de la Republica to Les Corts as well as from Les Corts to Plaça Sant Jaume. Places are limited, please register here!